If you have any photos or memories of the school to share, please contact us. MODERN ADDRESS 7781 Bailey Rd. DISTRICT BOUNDARIES Stretched from Carvers Lake in the northwestern corner to Colby Lake in the northeastern corner. 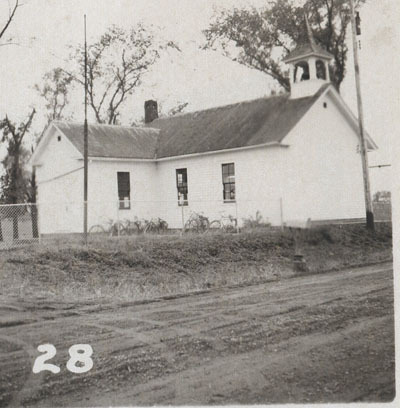 1952: Closed, consolidated with South Washington County Schools. Student enrollment: 1860: 12 students. 1868: 75 students. 1899: 45 students. 1938: 18 students. Other teachers: Elsie Kiecker & Stella Lietzall.